“Having a dream is one thing, living it is another”. I realized this when I began dreaming of owning my time and doing what I love to do instead of heavily dragging my feet off the bed each day of the week to prepare for work. The alarm clock became the button and the shrieking sound the push that makes the robot – me – wash off the sleep, get dressed, eat breakfast, and leave for work. The feeling got heavier each day I had to find a way out. Starting a business was the answer. I have the product in mind; I love eating and cooking, too. I remember my aunt’s old-fashioned home cooking, which was a big favorite among friends and neighbors. I launched my business and started selling, initially, to friends and neighbors. It was fun and I could not believe that my aunt’s recipe of old-fashioned home delicacies would be accepted by customers. But, I felt I was selling to the same people and the new orders were not as much as I would have wanted for my business to grow. In other words, I felt I reached a plateau and had to do something to expand my customer base. I began searching the web and came across the case of the Basic Bananas. When I started my business, I looked around and saw that people were turning into home-cooked inspired organic, unprocessed health food. I saw an opportunity for a business which aligned with what I really loved doing. But, I felt the business was not going anywhere and my customer base was not moving. My frustrations, my refusal to give up led me to search the web. I came across the story of Basic Bananas where I found a similar wish of wanting my business to grow. How the founders of Basic Bananas, Christo and Franziska Hall, stumbled onto Ontraport as the solution to business growth, and the opportunity to share their product to a wider customer base. The founders talk about how Ontraport helped them live their dream. Living the dream got me hooked and continued to follow the story. At the start of Basic Bananas, the founders had little investment capital to go on. As in all businesses, success means getting bold with risks. Automation was growing as the in-thing in business, regardless if the business is a small company or a big corporate. Ontaport’s name was already a buzzword in business automation even before it came up as one of the most promising companies by Forbes in 2015. Christo and Franziska went ahead and invested in automation as they saw this as the critical gap in their business at the time. The founders of Basic Bananas used the automated services of Ontraport to fill the gap, used one of their automated services, the Customer Relations Management tool, to find the hidden problem and build relationship with customers. From the story of Basic Bananas, I went on to find out how Ontraport was able to help a beginning business grow. Growing a business was my pressing problem at the time and I wanted to find out how Ontraport helped Basic Bananas automated their business at lightning speed. Since Basic Bananas decided to join Ontraport in 2010, the initial team grew to having 24 members. With more members joining the team, Christo and Franziska were able to expand their business and run workshops in 13 cities spanning across Australia, Canada, U.S., and New Zealand with more than 500 attendees for each workshop. My business was different, but I was interested in how Ontraport made it possible for Basic Bananas to expand its customer base and grow. Franziska and Christo speak of business growth due in large part to the automated marketing services of Ontraport, particularly on their Customer Relations Management (CRM) software. Basic Bananas leveraged Ontraport’s marketing automation software and integrated the marketing automation with CRM. As Landon Ray, founder of Ontraport (2006) said, Ontraport was founded based on what he saw were the problems of beginning entrepreneurs, and his belief that these problems have solutions somewhere. Landon Ray found the tools, one of which is the CRM software for small business which greatly helped Basic Bananas grow, as Christo and Frizka admitted in one of their video talks. The CRM software did everything for Basic Bananas connecting the CRM tool to everything associated with the customers. This workflow freed their staff from technical processes and allowed them to focus on building systems that are organized and scalable. And I thought, Ontraport could help me with my own business journey. I am not much into web technology and Basic Banana’s use of Ontraport’s affordable marketing automation software seems to be the solution. 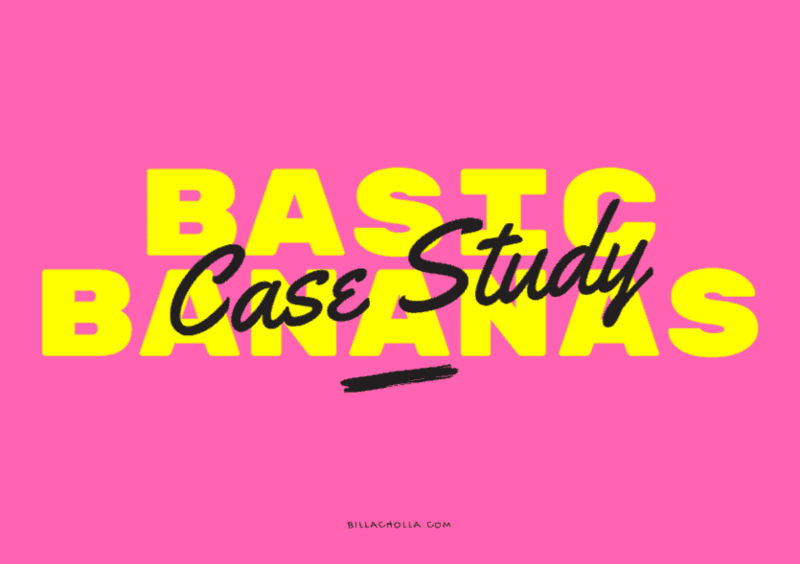 Basic Bananas was able to map a simple but high-converting marketing campaign using Ontraport’s automated marketing tools. Basic Bananas designed a marketing campaign map and set up customized triggers, which added customers from anywhere in the campaign map. Basic Bananas then connected with each customer by communicating with them and giving them a positive brand experience. Basic Bananas made use of the Performance mode to view reports on how leads and customers interact, gaining insights from the interaction which Frizka and Christo used in growing their business. Part of Ontraport’s campaign builder is the Projection Mode that helped Basic Bananas project and view the impact of a funnel on the end result. Going through the Basic Bananas experience, I realized that connecting with the customers is crucial to the growth of my business. However, it is not just a simple connection, but the secret of success is in personalizing the connection with customers. Basic Bananas use of Ontraport’s all-in-one CRM platform allowed them to connect with their customers by customizing their customers’ information, contact history, purchases, and engagement. Frizka and Christo kept their eyes on their customers through regular updating of customer records and that of potential customers. They customized the fields and data they want to appear in their records to make it easier for them to find what they need. Through segmenting customers in their database, Basic Bananas was able to create target groups based on demographics, behaviors, and interests. This segmentation greatly helped in sending the appropriate and relevant communications to all contacts with a purchase history or downloaded contents. I imagined my customers’ reactions, existing and potential, upon receiving the same emails and SMS texts to all my customers. And yes, I realized the one-content email may not fit all of customers’ characteristics, behaviors, and preferences. And I dare not think of the impact this is going to have on my customers. It was, therefore, a learning process that I stumbled upon Basic Banana’s story. 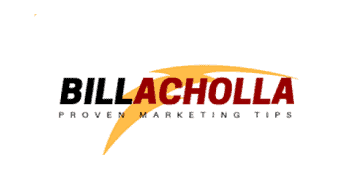 Being a newbie in the web technology, transitioning to online marketing is a big concern for me. It was a relief that I fell across the Basic Bananas experience, which pointed me to the direction of Ontraport’s landing page software. The importance of the landing page’s design is overlooked by beginning entrepreneurs like me. I never realized its importance until Basic Bananas used a beautifully designed landing page it to capture customers and leads. Ontraport’s landing page software gives you a choice of design to fit your business and collect leads that you can add directly to your CRM database. This software gives you the advantage of not using third-party services to craft a web page for you, thereby saving you money you can use for better purposes. With Ontraport’s landing page software, Basic Bananas was able to generate prospects through incentives flawlessly integrated into the software. Frizka and Christo realized early in the business journey the importance of branding. Ontraport gave Basic Bananas ease of use, high flexibility, and functionality in their landing page where no code is required. Basic Bananas created branded pages, saving on paying a developer who usually charges high for services and using the resources on more important sales and marketing campaign. Another feature of the landing page is relevant to today’s mobile technology. Ontrapage are set to mobile site speed optimization. The Ontraport page is, therefore, mobile responsive and fits any screen size and gadget. With the use of Ontraport’s built-in-analytics, Basic Bananas kept track of customer performance to identify which marketing strategy works and which one’s weak. They used the analytics to determine which service product is popular and tracked conversion rates that generated popular leads. For Basic Bananas, their Blast Off Marketing Workshop is the most popular of the services they offer. Dan Pink reiterates that the importance of using CRM to free up time for things software can’t do — empathize with clients and prospects, build relationships, and find hidden problems. They’re seeing an upswing of businesses wanting their processes automated – processes that include administration and accounts, sales and marketing, delivery of products and services and recently their internal and external communications with staff. Sometimes it’s the simplest of things that one never thought could be achieved that gain the biggest impact -like a time saving filtering process in a client’s sales pipeline. One of their clients (a construction company) specialize in major renovations and were getting inundated with enquiries for minor remodeling projects. These types of enquiries were wasting a lot of time and the owner was getting really frustrated having to filter them out of the pipeline via emails and phone calls – so they put in place some automation to filter out any leads they don’t want to deal with, and they’ve done this in a way that is respectful and directs the prospect towards another service provider. Automation can streamline your business in way you never could have imagined 10 years ago. Below is an example on how you can filter out any leads you don’t want to deal with. Brynne Tillman Chief Learning Officer at Vengreso stresses that, CRM in a sales organizations should be the system of record. CRM is the one hub where everything is recorded for all the activity around a prospect and a client. However, sales reps don’t solely work in their CRM so often data is lost. By leveraging additional apps that plug into the email platform and other sales and marketing tools used by the team, recording buyer interactions are more productive. So, don’t silo your CRM, make sure it is connected to everything that touches the buyer. According to Mike Kunkle experience, there are no “quick tips” for that. And, it goes way beyond just CRM. You need to integrate your marketing automation like Hubspot, Marketo or Eloqua with CRM. Lead scoring and opportunity qualification scoring should be a part of that process. Then, you can layer on software like SalesLoft, InsideSales.com, Outreach, ConnectAndSell or others on the front end of the funnel, and players like Playboox, Membrain, Revegy, etc. to guide reps through methodology execution (opportunity management and strategic account management). Sales Asset Management players like Highspot, SAVO, Seismic and others can support the process by providing the right content at the right time in the sales process for reps to share with their buyers, and track content consumption and report on its effectiveness over time. Then for managers, adding Xvoyant, Optymyze, Ambition, CallidusCloud and others to support frontline sales managers in managing and coaching more effectively, perhaps aided by conversation intelligence/call recording software like ExecVision, Gong.io, Chorus.ai or SpearFysh. It’s really about creating an appropriate and effective sales stack, hopefully which all integrates with CRM. Beyond that, you can use the various sales enablement platforms like Allego, Brainshark, LearnCore, Mindmatrix, Mindtickle and more to better enable reps with training/virtual coaching, but those aren’t about automating the sales process as much as enabling the reps (although for PRM, Mindmatrix has about the most complete, broad-featured product I’ve seen so far). Jeb Blount founder of Salesgravy.com says that the best tactic is to teach people why CRM should be viewed as a Goldmine rather than a Trashcan. It’s so important that everyone on the team get how data integrity lubricates and accelerated sales productivity. Tom Hopkins the founder & chairman Tom Hopkins International, Inc. uses CRM software as a way to keep in touch with clients more regularly. It allows them to “tag” them as to their interests such as that they prefer tips versus attending webinars and such. So they keep in touch the way they want them to. And Elly Hurley Co-Founder of Nudgemarketing.com reiterates that, one of the biggest issues she see businesses facing is how to maintain regular contact with their prospects and customers. The easiest and most profitable way to do this is by automating the process using a CRM, like Ontraport. Why? Because it gives you the ability to keep track of what they are interacting with, and it lets you tag and segment contacts so you can send them content they are most interested in. Trying to manage this manually is so time consuming, and prone to error. When you use a CRM you can plan and also track what’s working and what’s not. Ali Alqhtani founder of Leedigital.tech, believes that In order for small businesses to grow, they MUST break out of “running the business” mentality and start focusing on building systems that are organized and scalable. “Even today, McDonald’s is one of the 10 most valuable brands in the world because they built a systematic business, not a way to flip more burgers”. Maria Richard founder of Management24.co reiterates that a CRM enables you to segment your subscribers based upon their actions (e.g. email opens, website visits, purchases, etc.) which, in turn, allows you to present them with irresistible offers that are tailored to their interests. Sam Clarke founder of Tribecto.com points out that, time is usually the most valuable asset to any busy entrepreneur. That’s why Sam is such a huge fan of automation software like Ontraport. By automating some of your most common business processes you gain huge amounts of time back that you can use to focus on doing what you do best, serving your customers. The clients that Sam is working with are seeing huge results by implementing sales and marketing automation that enables them to capture leads, nurture prospects and close more deals. It really is a game changer for any entrepreneur. Now that you’ve seen how to automate your business, it’s time for me to share with you the benefits of automating your business. Time is a valuable resource that we can’t purchase more of. Automating your business can give you time back by putting the manual client follow-up on autopilot. You can’t buy more time but you can buy a CRM. Taking care of your clients is your #1 priority as a business owner. With all the different mediums clients can find you on, it is hard to keep track of who posted on your website, who left a message and who emailed you. Using a CRM to run your business can give you 100% confidence that your clients are being followed up with at every stage of the client journey. Yes, a CRM is an investment but it is worth every penny and will actually save you money in the long run. You will cut cost by saving time and reducing the need to hire help. It is simple, a CRM is needed in order to scale your business. a. As a business owner, automation frees up your time so you can spend it doing the things that are more valuable to your business – like long-term planning or sales. But you don’t need to be the top bread-winner at your company to benefit from automation. With systems running on auto-pilot all your employees gain the benefit of time. Meaning your team can do more with less. b. Systems and automation make your business consistent. McDonalds isn’t the biggest because they offer the BEST hamburger. They’re the biggest because they offer the most CONSISTENT burger. They achieve this through really well-honed systems. Automation ensures that your company does things the same way every time. This gives your customers a consistent experience which gives them the confidence to continue doing business with you. Another added benefit of consistency…testing. It’s hard to test new ideas if every time is the first time you’ve done it that way. You don’t have a baseline of comparison. Automation gives you the baseline you need to experiment with new ideas. c. Lost sales and extra customer-service issues cost money. Automation keeps customers from falling through the cracks. Adding real dollars to your bottom line. And finally, Elinor Stutz founder of Smoothsale.net shared with me, 3 reasons why CRM is a very important tool. Every good salesperson will ask, “when would you like me to contact you next, and by which method?” And every seasoned salesperson has a full pipeline of possible sales. It is close to impossible to remember each prospect’s answers without taking note. When your clientele sees that you are on top of contacting them at their request and in the style they prefer, trust and credibility build to the point of earning the sale. Although we can’t add an hour to the day as we wish, it seems as if it is done for us with the use of a CRM system. By inputting all follow-up requests at appointed dates and times, efficiency is at an all-time high. There is no forgetting of what comes next or time wasted trying to figure it out. Adding the new information every evening before you quit work, and checking the log in the morning, you will have your day efficiently planned. A CRM system provides additional time to prospect and meet with clientele. Last but not least, when management asks for the amount you will close by month-end, it no longer a guessing game when you enter the numbers into the CRM system. Enter all possibilities along with an estimated percentage of closing. Provide the total for those ‘almost sales’ having the best potential. On a personal note, I entered sales before CRM databases were available. Each salesperson was responsible for maintaining accurate data including tall stacks of business cards in the order of dates sales might close. Unfortunately, some cards were known to get knocked onto the floor by others and thrown into the trash. The lack of efficiencies severely impacted the number of sales we were able to finalize. It was a relief to hear the original announcement of CRM software availability. Going through the story of Basic Bananas inspired me to pursue my plan of launching my old-fashioned, homemade and organic products, grateful for the hours spent with my aunt in the kitchen. I am grateful, too, for stumbling upon the Basic Bananas experience as this led me to Ontraport. I went beyond Basic Bananas and searched for Ontraport’s customer testimonials and stumbled on tread through customer experiences, which I find relevant to my concerns. “First off, the support at Ontraport is like no other. The response rate is high and they go way out of their way to help. The support staff always goes above and beyond. Plus they have an amazing Facebook group that cultivates community and sharing. You can, perhaps, search the web to get reviews from customers. You will find pros and cons about Ontraport, but the fact that Ontraport was mentioned by Forbes as one of the most promising companies and no. 26 in the “Top 100 California Companies” for 2017, this should give you confidence of the ability of Ontraport to jumpstart your business and guide you to a successful business career. The best time to start your business is now, while you believe your product is relevant. Your product must be relevant if you came up with the idea. Or, let Ontraport help you in your business journey. Act now and start your journey with Ontraport. Have you tried using Ontraport to grow your business?